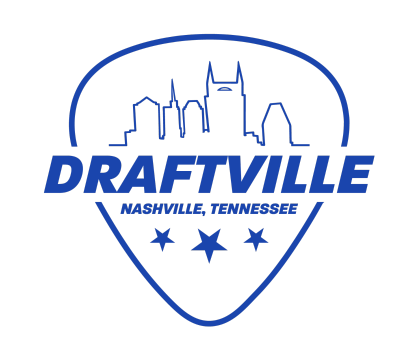 The 2019 Draft is almost here and to celebrate the occasion, Party Fowl owner Austin Smith—along with Nashville influencers Austin & Colin and Mac N’ Cheese Media co-founder, Sean Webster—have established Draftville, a charitable, two-day event set to kick off on Wednesday, April 24. A GOOD TIME FOR A GREAT CAUSE -- Draftville—which will be broken out into three separate ticketed events—will take place at AJ’s Good Time Bar, owned by Country Music Hall of Fame Member, Alan Jackson, and will include a variety of perks ranging from Draftville swag to all-you-can-drink Music City Light beer. A portion of the proceeds from the two-day event will go towards helping the ALS Association’s Tennessee Chapter in its mission to discover treatments and a cure for ALS. ‘WE ARE DRAFTVILLE’ VIDEO DEBUT -- To build excitement for the April events, former Tennessee Titan and ALS advocate Tim Shaw joined Austin & Colin and Tennessee State University’s 175-member marching band to film a celebratory video. The three-minute video—available for viewing here—captures Nashville’s anticipation and pride for hosting the 2019 Draft, while also taking viewers on a high-speed tour of city’s top food and entertainment destinations. Draftville Kickoff Party Featuring Karaoke with Austin & Colin: Wednesday, April 24 from 6:00 to 9:00 p.m. Admission includes a meet-and-greet with Austin & Colin, ‘Music City Light’ bracelet good for 2-for-1 beers during the entire week of the draft at AJ’s Good Time Bar, as well as a limited-edition “We Are Draftville” shirt featuring Tim Shaw’s signature. VIP Draft Viewing Party: Thursday, April 25 from 6:00 to 10:30 p.m. Admission includes ‘Music City Light’ bracelet good for 2-for-1 beers during the entire week of the draft at AJ’s Good Time Bar, all-you-can-drink Music City Light beers during the event, Nashville Hot Chicken, a silent auction featuring limited-edition sports and country music memorabilia and access to numerous TV’s that will be broadcasting the Draft. Post-Draft After Party MC’d by Austin & Colin: Thursday, April 25 from 10:30 p.m. to 2:00 a.m. Admission includes access to an exclusive rooftop party overlooking Broadway, live music, all-you-can-drink Music City Light beer, food and more. For more information and news about Draftville, or to purchase limited-edition Draftville merch, please visit www.draftville.com, or follow along on Facebook and Instagram.